All the must read Nintendo Switch news every Sunday. Never miss out on the latest from Nintendo! 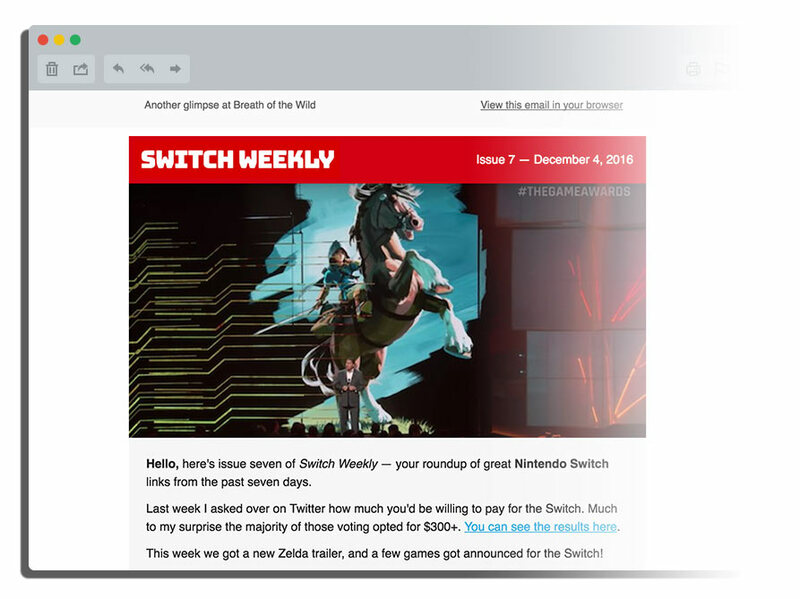 Switch Weekly is a free email newsletter that helps you stay up-to-date with the latest Nintendo Switch news. Each week I bring together a dozen or so of the best articles, videos and news stories that you need to see. It's everything worth knowing about the Nintendo Switch in one place — your inbox.